Aquaman is one of the Justice League DC super heroes. He is the ruler of the Kingdom of Atlantis, the hidden city in the sea. He can therefore not only breathe under water, but also communicate with all aquatic creatures by means of telepathy. He swims at an unimaginable speed and is also nearly just as fast on land. He combats the evil of the world side by side with his Justice League friends. 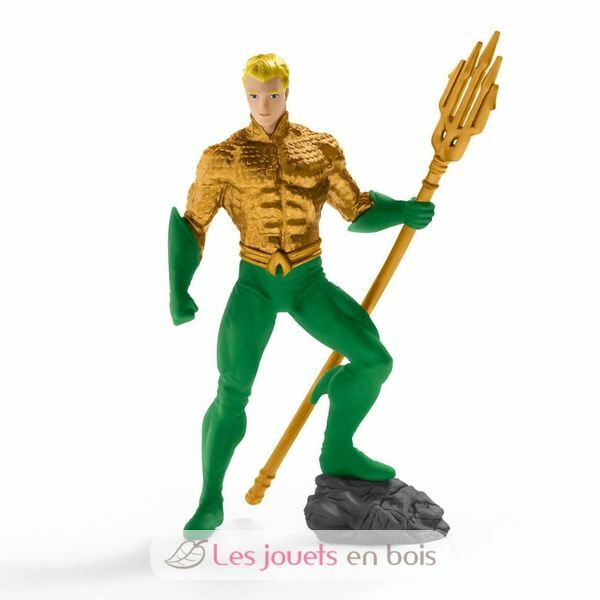 Aquaman, a pretty figurine made by Schleich. Item number 22517.